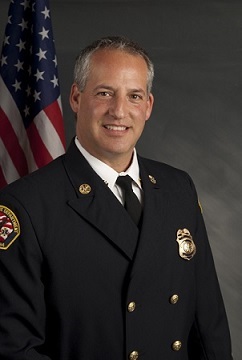 Anthony Gossner was appointed Fire Chief August 28, 2014. Anthony previously served as Interim Fire Chief December 28, 2013, and previous to that as the Department’s Deputy Fire Chief and City Fire Marshal. Anthony has been a member of the Santa Rosa Fire Department for 25 years.